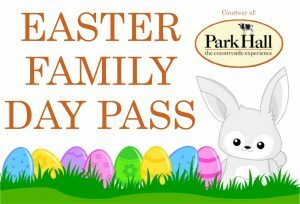 This Easter Holidays, why not treat your family by taking them to Park Hall Farm for FREE! Join the farm for some eggstrordinary games and fun, not to mention the Great Egg Hunt! With the reward of chocolate, why not enter our competition? Just print out the entry slip below, fill in your details and send your entry slip to our office Easter post box at 27 Cross Street, Oswestry, SY11 2NF. Alternatively you can like our Facebook page, tag a friend in our competition post and share the competition. Terms and conditions: The winner must be able to collect their prize from our Oswestry office on Thursday 29th April.